Life is good in the Fish Creek Winter Festival main tent. Photo by Len Villano. Fish Creek Winter Festival will celebrate its 32nd year in 2019. 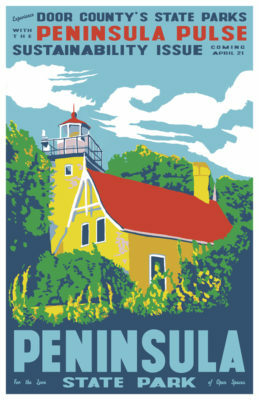 As the town’s longest-standing tradition and Door County’s most famous winter event, it features live music, quirky games, delicious food, the Fruit Loop Fun Run, a fireworks display and two featured events: an entertaining stumpf fiddle contest and the Smokin’ Hot Chili Cook-off. 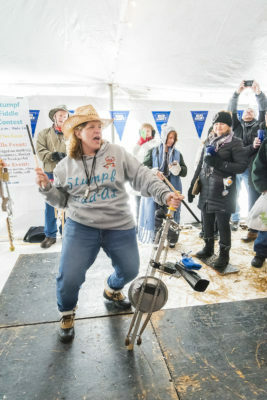 The stumpf fiddle contest is an activity like no other for musicians and outgoing sorts: you’ll have the opportunity to show off your musical talents or entertain the crowd with your dance/fiddle combos. 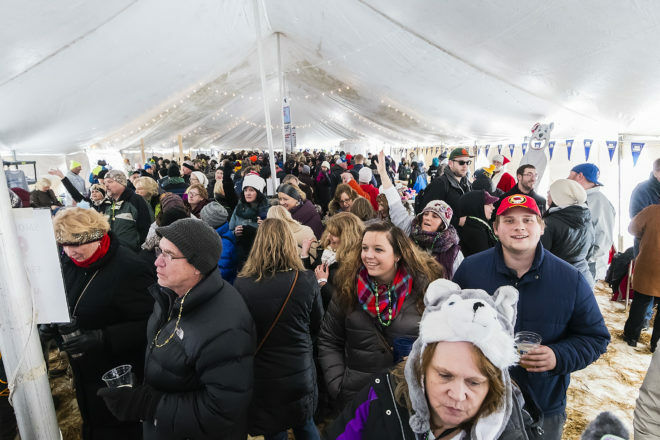 Most events take place under a heated tent overlooking the frozen waters of Green Bay. Any activities that take place on the ice depend on the weather. This stumpf fiddler clearly knows what it takes to please the crowd.